Kevin Lewis grew up on a council estate in South London. Beaten and starved by his parents, ignored by the social services and bullied at school, he was offered a chance to escape this nightmare world and was put into care. Despite his best efforts to make things work out, his life spiralled out of control. At the age of 17 he became caught up in the criminal underworld of London, where he was known as 'The Kid'. From the violent anger he suffered at the hands of his mother and father, to the continuous torments at school; from the way in which he coped with rejection from people he trusted, to suffering from bulimia and a wish to take his own life, Kevin succeeded in making a better life for himself. This is his story ..
Start reading The Kid (Film Tie-in): A True Story on your Kindle in under a minute. Kevin Lewis grew up on a council estate in South London. Beaten and starved by his parents, ignored by the social services and bullied at school, he was offered a chance to escape this nightmare world and was put into care. Despite his best efforts to make things work out, his life spiralled out of control. At the age of 17 he became caught up in the criminal underworld of London, where he was known as 'The Kid'. 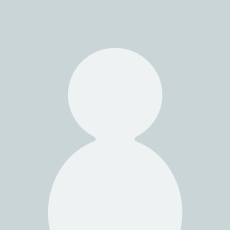 From the violent anger he suffered at the hands of his mother and father, to the continuous torments at school; from the way in which he coped with rejection from people he trusted, to suffering from bulimia and a wish to take his own life, Kevin succeeded in making a better life for himself. This is his story. Kevin Lewis is 32. He is married with two children and lives in Surrey. This is his first book. Oh my its so sad how Kevin was retarded by his parents in so many different ways, all his life he has jumped from idea to idea, never really growing up, naive in his outlook on life, judging others and becoming opinionated in the same way his mother was, judging his sister but not offering her children a home instead leaving them in care, his wife Jackie is a saint and so calm he makes her unreal....very very interesting story, my reason for reading it is I'm a foster carer and an a person who has adopted. 5.0 out of 5 starsSo very moving! I have known Kevin & his family for a number of years but had no idea he was "Kevin". Having read this most incredibly moving book I am beyond awe. To have had the appalling childhood he had, but to go on & achieve what he has done in life is amazing. I still have no understanding of mans inhumanity to man especially when it's aimed at the child you gave birth to. For that, this book reduced me to tears several times. But for Kevin's courage, tenacity & ability to shine regardless I cheered loudly! 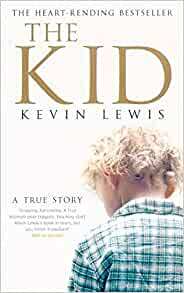 Kevin Lewis recalls the horrific upbringing he experienced as a child in a vivid and well written account of his life. The way that social services, schools and other professionals ignored his profound suffering is both upsetting and shocking as, when this was based, there was meant to be accountability and protection for children abused as Kevin Lewis was. I recommend this book if you wish to see. not only his initial upbringing, but this impact this had on his later life and relationships and how other children are deeply affected by abuse, poverty and starvation. The strength to publish this book is undeniable and I am pleased he took that step, as it highlights the story of many adults currently struggling through life, carrying a similar burden. Not sure what happened but thought buying a good conditioned hardback version of this book, however a very poor conditioned paperback turned up complete with Ocado vouchers from previous owner. Great book and a must read just watch what version and condition you are buying. I was buying to lend to someone as I have misplaced my copy, would be to embarrassed to give this to anyone due to condition. 5.0 out of 5 starsBrilliant!!!!! I bought this book on my kindle and it wasn't until I was 20% through that I realised I had read the book before - a friend had lent it to me some time ago. Nevertheless, I thoroughly enjoyed and couldn't put it down just as much as the first time. I have also read Kaitlyn before and it was a fantastic read - seriously buy it!! I'm just about to download the sequel to the kid. 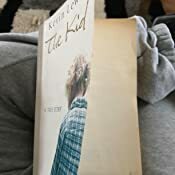 I'm really pleased Kevin has found happiness and i'm sure his book has helped him deal with his past, my childhood was nowhere near as bad Kevin's but it wasn't the best, Kevin can hold his head up high an be very proud of himself - a big fat 2 fingers up to Gloria and Dennis, they don't deserve him or his children in there lives! I'm going to get stuck into moving on and will let you know what I think. This is the first review I have ever wrote and I have read lots of books - be happy Kevin your certainly not a quitter! May I say I lived only a about 100 yards from the house where Kevin lived and did not realise that all what he went through was going on Gloria used to stop and speak to my wife asking if she neaded help my wife always declined for some reason she thought something is not right in that house. I can agree with Kevin every second word from her mouth was a swear word, She had the nick name mouthy because you heard her before you saw her. What the poor kids went through she hid well, may i say only one thing before I finish the Social services in Croydon should take a long hard look at themselves and I do hope that they read the book. Well done Kevin you have made something out of your life and good on you.